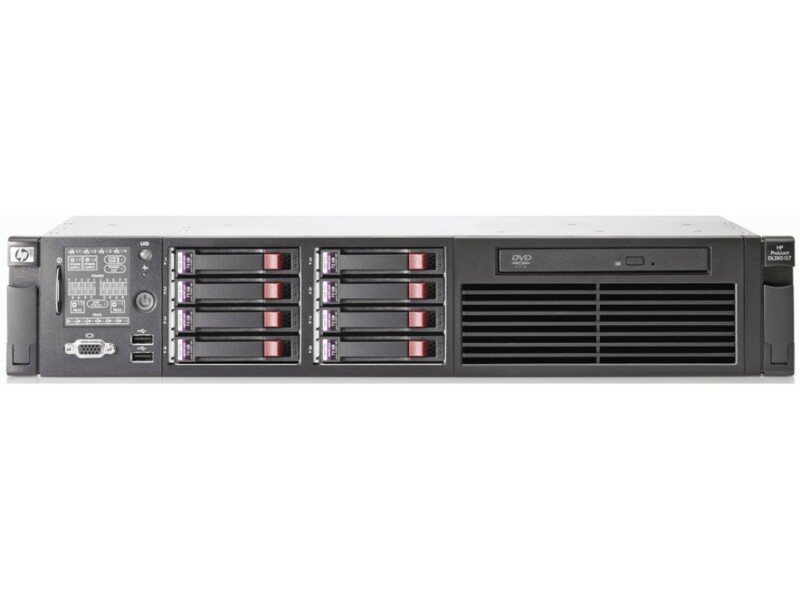 Серверная платформа Hewlett-Packard 2U DL380 G7 8xSFF Б.У. CPU Six -Core Processors Intel® Xeon® X5690 (3.46GHz/6-core/12MB/130W, DDR3-1333, HT, Turbo1/1/1/1/1/2/2) Processor NOTE: Available through Configure To Order only. See Factory Integration Models section for more details. Intel® Xeon® X5675 (3.06GHz/6-core/12MB/95W, DDR3-1333, HT, Turbo 2/2/2/2/3/3) Processor NOTE: Available through Configure To Order only. See Factory Integration Models section for more details. Intel® Xeon® X5670 (2.93GHz/6-core/12MB/95W, DDR3-1333, HT, Turbo 2/2/2/2/3/3) Processor Intel® Xeon® X5660 (2.80GHz/6-core/12MB/95W, DDR3-1333, HT, Turbo 2/2/2/2/3/3) Processor NOTE: Available through Configure To Order only. See Factory Integration Models section for more details. Intel® Xeon® E5649 (2.53GHz/6-core/12MB/80W, DDR3-1333, HT, Turbo 1/1/1/1/2/2) Processor NOTE: Available through Configure To Order only. See Factory Integration Models section for more details. Intel® Xeon® E5645 (2.40GHz/6-core/12MB/80W, DDR3-1333, HT, Turbo 1/1/1/1/2/2) Processor NOTE: Available through Configure To Order only. See Factory Integration Models section for more details. Intel® Xeon® L5640 (2.26GHz/6-core/12MB/60W, DDR3-1333, HT, Turbo 2/2/3/3/4/4) Processor NOTE: Available through Configure To Order only. See Factory Integration Models section for more details. Quad -Core Processors HP DL160 G6 Intel® Xeon® X5687 (3.60GHz/4-core/12MB/130W, DDR3-1333, HT, Turbo NA/NA/1/1/2/2) Processor NOTE: Available through Configure To Order only. See Factory Integration Models section for more details. HP DL160 G6 Intel® Xeon® X5677 (3.46GHz/4-core/12MB/130W, DDR3-1333, HT, Turbo 2/2/3/3) Processor HP DL160 G6 Intel® Xeon® X5672 (3.20GHz/4-core/12MB/95W, DDR3-1333, HT, Turbo NA/NA/2/2/3/3) Processor NOTE: Available through Configure To Order only. See Factory Integration Models section for more details. Intel® Xeon® E5620 (2.40GHz/4-core/12MB/80W, DDR3-1066, HT, Turbo 1/1/2/2) Intel® Xeon® E5607 (2.26GHz/4-core/8MB/80W, DDR3-1066) Processor NOTE: Available through Configure To Order only. See Factory Integration Models section for more details. Intel® Xeon® E5606 (2.13GHz/4-core/8MB/80W, DDR3-1066) Processor Intel® Xeon® E5603 (1.60GHz/4-core/4MB/80W, DDR3-1066) Processor NOTE: Available through Configure To Order only. See Factory Integration Models section for more details. Intel® Xeon® L5630 (2.13GHz/4-core/12MB/40W, DDR3-1066, HT, Turbo 1/1/2/2/) Processor NOTE: HT indicates that the processor model supports Intel® Hyper-Threading Technology. NOTE: Turbo indicates the maximum potential frequency increment when using Intel® Turbo Boost Technology, with 4, 3, 2, and 1 cores active. NOTE: DDR3 speed is the maximum memory speed of the processor. Actual memory speed may depend on the quantity and type of DIMMs installed. NOTE: For the Intel 5000 Series, the letter preceding the model number indicates the performance/wattage of the processor. "X" denotes High Performance/Wattage; "E" denotes Enterprise Performance/Wattage (Mainstream); and "L" denotes Lower Wattage. Установленные процессоры Intel Xeon E5620 - 2 шт. Емкость памяти Type DDR3 Registered (RDIMM) or Unbuffered (UDIMM) Standard (Entry Models) 4 GB (1 x 4 GB) RDIMMs Standard (Base Models) 8 GB (2 x 4 GB) RDIMMs Standard (Performance Models) 12 GB (3 x 4 GB) RDIMMs Maximum (RDIMM) 288 GB (18 x 16 GB) Maximum (UDIMM) 48 GB (12 x 4 GB) NOTE: Depending on the memory configuration and processor model, the memory speed may run at 1333MHz, 1066MHz, or 800MHz. Please see the Online Memory Configuration Tool at: www.hp.com/go/ddr3memory-configurator. 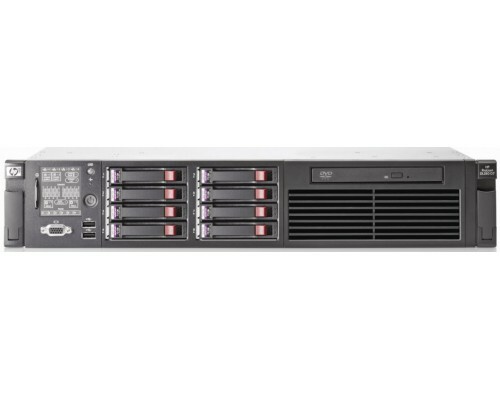 Серверная платформа Hewlett-Packard 2U DL380 G7 Б.У.